Asbestos is a mineral fiber that is known to cause mesothelioma, lung cancer and asbesestosis when inhaled. No amount of asbestos exposure is safe, but because asbestos is resistant to heat, fire, some chemicals and is very durable, manufacturers and builders used it in many products. Everything from building and home constuction to cement, plastics, insulation, fire proofing, roofing materials, steam and hot-water pipes,boilers, tanks, and from automotive brake pads, ceiling and floor tiles to paints, crayons, art supplies, garden products and hair dryers. All may have contained asbestos. Although the government has instituted strict safety regulaions and banned many uses of asbestos, you can still find it in many products today. Workers exposed to asbestos dust and fibers may have suffered irreversible lung damage as well as other diseases. People employed in the construction, building, renovation, demolition, plumbing, ship building, mining and milling, textile manufacturing and automotive trades are most at risk for long term damage. Even children and spouses may have been exposed to the dangers when workers brought asbestos fibers home on their clothes, shoes and body. Asbestos manufacturers can be held responsible for exposing workers and their families to these dangerous products. When you breathe in asbestos, the fibers become trapped in your lungs, remain there and over time, scarring may occur. This can lead to a variety of significant health problems. Although serious complications often take decades to appear, some people experience immediate discomfort after short-term, severe exposure. A careful review of a persons life history and work history often reveals exposure to asbestos products. If you are suffering from the complications of asbestos exposure through your home or workplace, you may be entitled to compensation. 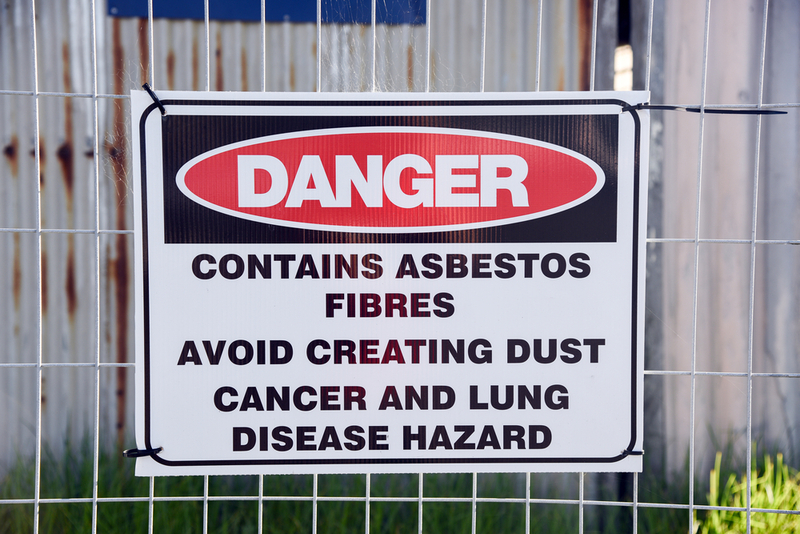 For an individual consultation regarding your potential asbestos claim, contact The Fink Law Firm P.C. today at 1(844) FINK- LAW(346-5529). Our award-winning lawyers will help you navigate the complex personal injury landscape in the tireless pursuit of justice.